Click on the column header and select Group By. Your table automatically turns into Pivot Table. Summarize your data with statistics like SUM, AVERAGE, MIN or. MAX. 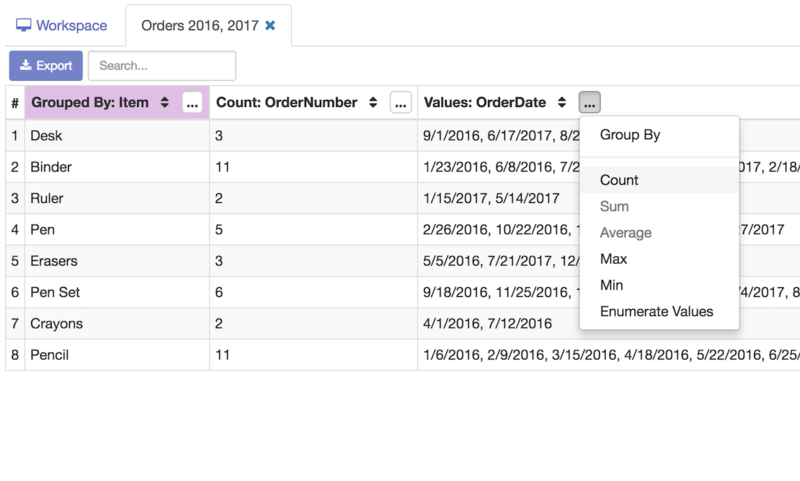 You can also enumerate other column values related to the same value in the grouped column.